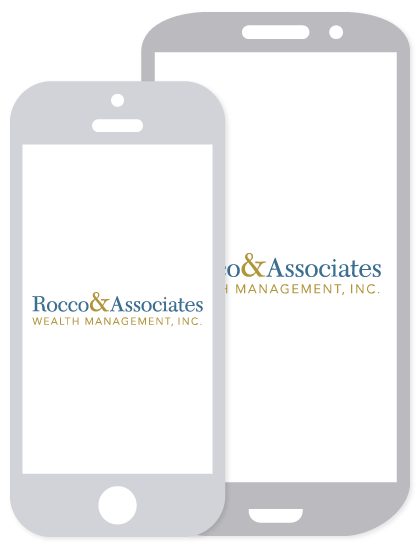 Market Outlook - May 2015 | Rocco & Associates Wealth Management, Inc. Despite all of the broader market indices being at or near record highs, it has been a bumpy road getting here. Volatility is here to stay for the foreseeable future. Throughout 2014, an overwhelming majority of the gains came in and around earnings season as the markets quickly swung in either direction in response to what companies reported. This year seems to be tracking a very similar course. At the time of this writing, over half of the companies that make up the S&P 500 Index have reported first quarter results with a majority of them beating the street’s earnings estimates, helping to further fuel the recent market gains. One underlying theme, however, that was not previously present, are the cautionary statements across the board on lowering overall future revenue guidance. This could be an indication of lower profits later for 2015. In fact the first quarter Gross Domestic Product, which represents the total dollar value of all goods and services produced over a specific time period, came in well below estimates, further indicating slower growth could be here to stay. 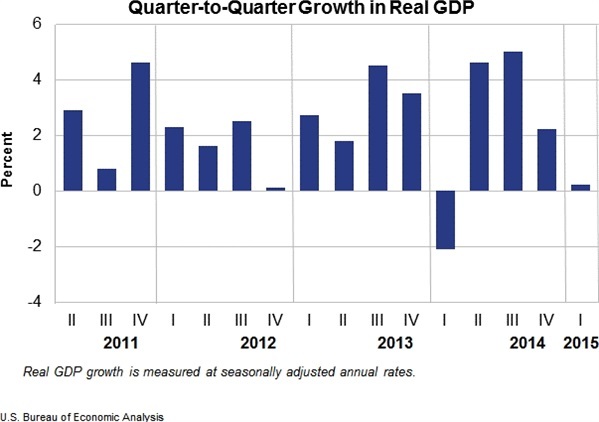 The long and drawn out winter that crippled a lot of the country could have also contributed to this low GDP figure. The talk about interest rates again is not about if they will rise in 2015, but when. 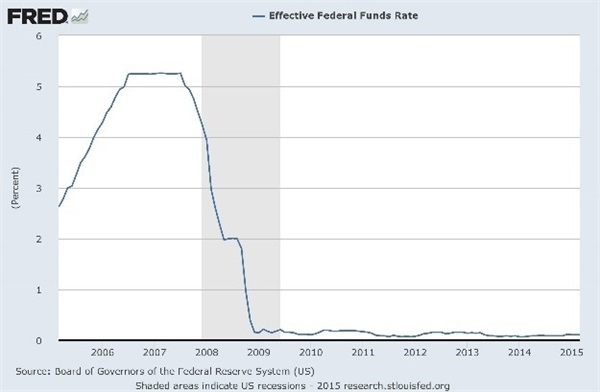 Historically when the U.S economy is seen to be at full employment (most economists see this when the rate is at 5.5%, which is where we are currently), the federal funds rate has been at about 1.00%. It should be noted, however, that most economists do feel that the unemployment rate could be a bit skewed since it does not accurately factor in the very low labor participation rate. Today the federal funds rate is much lower, potentially signaling that once rates do start to rise, the Federal Reserve will have to make more dramatic increases, potentially adversely affecting the markets. Only time will tell. The current unemployment rate is a positive indicator for some, with this year’s college level graduates entering into one of the strongest job markets we have seen in years. Overseas, the threat of Greece defaulting on its loans with the European Central Bank is still causing jitters throughout the European markets as well as back here at home in the United States, which we continue to monitor closely. Also, the Middle East continues to draw our attention, most recently when a convoy of Iranian ships suspected of carrying arms to rebels in Yemen was shadowed by allied ships and was eventually turned around without incident. All of this taking place while the U.S. led coalition is in its final negotiations with Iran to broker a more transparent nuclear arms treaty that would lengthen the timeline of their nuclear breakout capability. The current environment in China is also worth addressing. While they continue to deploy a quantitative easing program similar to the one that the U.S. began in 2008, critics are claiming it could have a reverse effect on the overall well-being of the Chinese economy. In fact, most recent data suggests that both the country’s imports and exports are at all-time lows. With all of this being said, we are still optimistic on the U.S. economy. With interest rates remaining at historic lows and energy costs still providing the average consumer with a little relief, we continue to focus on large, U.S-based dividend-paying companies that have exposure overseas. As always, we continue to stress diversification across a multitude of asset classes to help offset the expected continued volatility. Stock investing involves risk including potential loss of principal. The payment of dividends is not guaranteed. Companies may reduce or eliminate the payment of dividends at any given time. International investing involves special risks such as currency fluctuation and political instability and may not be suitable for all investors. There is no guarantee that a diversified portfolio will enhance overall returns or outperform a non-diversified portfolio. Diversification does not protect against market risk. The economic forecasts set forth in the presentation may not develop as predicted and there can be no guarantee that strategies promoted will be successful.